Veteran hard rock act Saxon has, for more than four decades, been entertaining audiences the world over with its own brand of music. Considered by most to be one of the leaders of the New Wave of British Heavy Metal, the band has easily maintained a place for itself the entire time both in the rock realm and within the musical universe overall. Now with the recent release of Thunderbolt, its 22nd full-length studio recording, the band continues to show why it is still one of rock’s elite acts and just as relevant today as it was in its infancy. That is proven in part through the record’s musical arrangements, which will be discussed shortly. Its lyrical themes are just as worth noting here as its musical arrangements and will be discussed later. The album’s sequencing rounds out the elements that prove this album’s power. Each element is important in its own way to the whole of Thunderbolt. All things considered, they make the album another hard-hitting strike from Saxon. 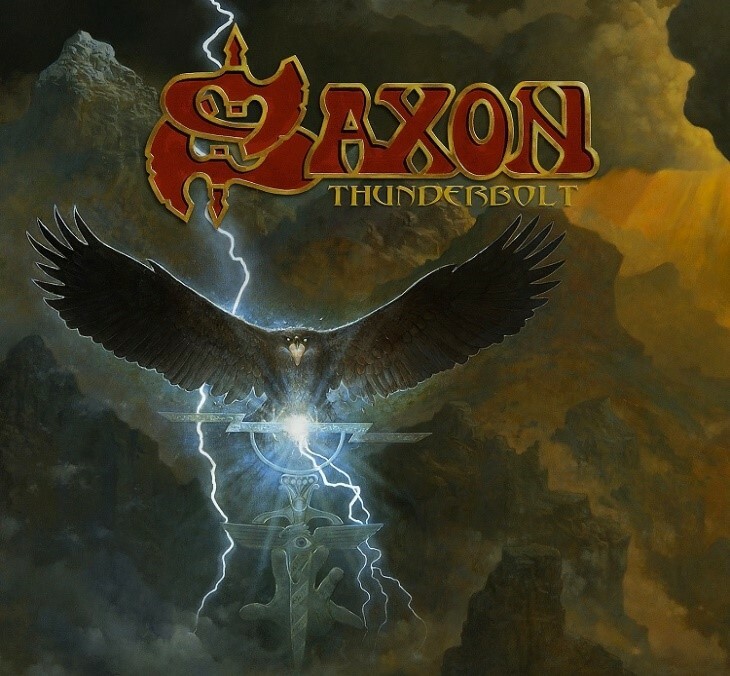 Thunderbolt, the 22nd full-length studio recording from British hard rock outfit Saxon is a solid new musical strike from the veteran band. It is a record that proves Saxon is still one of rock’s elite acts and just as relevant today as it was in its infancy. This is proven in part through the album’s musical arrangements. Right off the top, the band takes audiences on a familiar musical ride with the up-tempo arrangement at the center of the album’s title track — a ride that instantly conjures thoughts of Judas Priest set alongside some of its own heavier material. The arrangement at the center of ‘The Secret of Flight’ meanwhile brings about thoughts of Metallica circa 1984 (the year that Ride The Lightning was released). Keeping in mind that Saxon has composed similarly styled arrangements throughout its history, this serves to show Saxon’s own likely influence on Metallica’s sound. The comparison to Judas Priest returns once again in the album’s third full-length song (and fourth overall since the album’s opener was only a 1:35 intro track) ‘Nosferatu (The Vampire Waltz.’ This time it is a comparison to Priest’s more recent work. One of the most standout arrangements presented in this record comes in the Motorhead tribute (yes, there’s even a Motorhead tribute here), ‘They Played Rock and Roll.’ From its driving guitar riffs to its bass work and solid time keeping, the song is a solid, wonderful tribute to yet another of the rock world’s elite. It goes without saying that this song is one of the album’s best works, musically speaking (and lyrically, but that will be discussed later). ‘Predator’ is another great classic hard rock/metal addition to this album that stands out not just because of its arrangement, but also because of the guest appearance by Amon Amarth front man Johann Hegg.’ Hegg’s familiar growl juxtaposed by Saxon front man Biff Byford makes quite the impact. That’s especially the case when their vocal deliveries are joined by the song’s musical lines. The end result is its own standout work that will keep listeners just as engaged as any of the album’s other works. That includes ‘Sons of Odin,’ which once again, bears some resemblance to works from Judas Priest (again, both musically and lyrically), ‘Sniper’ which brings about another comparison to Metallica stylistically speaking and ‘Speed Merchants,’ which boasts its own Motorhead comparison. Between all of these songs and those perhaps not noted here, it becomes clear that the stylistic comparisons to Saxon’s counterparts and its own prior works makes the musical component of this record critical to its success both in itself and when considering its role in Saxon’s overall history. The record’s musical arrangements are only one of the items to be discussed in examining the album’s whole. Its lyrical content is just as important to discuss as its musical material. 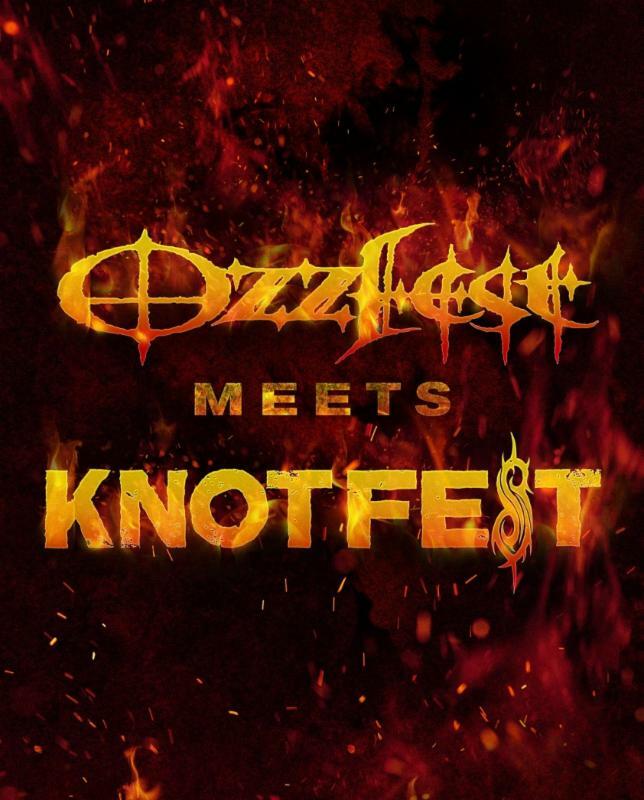 The lyrical themes presented throughout the album are so important to note because there does not seem to be one connecting theme from one to the next. From the tribute to Motorhead to the completely random piece about vampires to songs apparently about Norse mythology and even fantasy — ‘A Wizard’s Tale’ — and so much more, the lyrical themes that make up the body of this record run the gamut so to speak. ‘Sniper’ will have listeners talking just as much as those noted songs. The same can be said of ‘Secret of Flight,’ which apparently seems to follow the history of flight, and ‘Roadie’s Song,’ which is in fact about a roadie’s life. On one hand, the simplicity and range of the songs’ lyrical themes leaves one wanting to ask is Saxon just out of ideas. On the other hand though, at least little doubt is left as to the message in each song. There is no metaphor or anything of that mature to lead to misinterpretation. To that end, the band deserves credit for the songs’ lyrical themes. Keeping that in mind alongside the power of the songs’ musical arrangements and audiences get an album in Thunderbolt that again, shows why it is such a strong musical strike from the veteran rock outfit. That juxtaposition is just one more part of what makes this record another sign of Saxon’s solid spot in the rock realm today. The record’s overall sequencing rounds out its most important elements. Thunderbolt‘s sequencing is important because it plays just as much into listeners’ engagement and entertainment as the record’s musical and lyrical content. The sequencing, in regards to the record’s musical content is so important because of the energy maintained throughout the arrangements. ‘Thunderbolt’ and ‘The Secret of Flight’ give the record a solid, up-tempo start while ‘Nosferatu (The Vampire Waltz)’ boasts its own energy through its heaviness even though it isn’t the up-tempo rocker that its predecessors prove to be. Keeping that in mind, it still maintains the energy established in those songs even without being as fast-paced as them. that energy picks right back up though, in ‘They Played Rock and Roll’ and continues on through ‘Predator’ before the band again opts to go slower yet heavy again in ‘Sons of Odin.’ Considering the seeming pattern that is built through the up and down of the album’s tempos so far, one would be right to assume that from the slower, but heavy ‘Sons of Odin’ gives way to another more up-tempo piece in ‘Sniper.’ That energy carries on to the album’s end in the very 1980s-esque ‘Roadie’s Song.’ It ensures even more listeners’ maintained engagement. Considering this along with the balance of energies throughout the rest of the album, it can be said with ease that plenty of thought was put into this album’s sequencing in regards to the energies in its arrangements. When this is considered alongside the arrangements themselves and the songs’ lyrical content, the end result is an album that audiences will agree is — again — another solid musical strike from Saxon. The sequencing in regards to the album’s lyrical content is just as important to discuss in examining the album’s overall sequencing as its musical arrangements. The album starts out with a song centered — seemingly — on Greek mythology in ‘Olympus Rising’ and ‘Thunderbolt’ before moving on to a commentary of sorts in the history of flight from its peaceful roots to its destructive current use. Considering that one of the refrains in ‘Thunderbolt’ states “unleash the Gods of war,” this can be argued to be a relatively smooth transition from one song to the next. Whether that connection was intended is anyone’s guess, but it is there. ‘Nosferatu (The Vampire Waltz’ and ‘They Played Rock and Roll,’ while totally separate from one another in their themes, make for an entertaining change of pace lyrically speaking. ‘Predator,’ ‘Sons of Odin’ and ‘Sniper’ all seem to have similar lyrical themes that while not exactly the same, seem close enough to understand why they might have been grouped together. ‘A Wizard’s Tale,’ like ‘Nosferatu (The Vampire Waltz),’ is another random transition that actually because of that randomness, still works in keeping listeners engaged. ‘Speed Merchants’ and ‘Roadie’s Song’ are about as separate as can be from each other and from ‘A Wizard’s Tale.’ This is important to note because it presents even more lyrical variety for listeners, in turn ensuring once more those listeners’ engagement. When this is considered along with the engagement insured through the album’s musical sequencing, its arrangements and lyrical themes, these elements all join together to present a record overall that is another electrifying new effort from one of the justifiably most respected hard rock bands out there today. 2016 has not been kind to the entertainment industry. Legendary actor Gene Wilder just passed away this week as did Mexican music star Juan Gabriel. Noel Neill, who played Lois Lane in The Adventures of Superman opposite George Reeves, also passed away this year along with hockey star Gordie Howe and boxing legend Muhammad Ali and so many others. That list also includes Motorhead front man and rock legend Lemmy Kilmister. Not long after Kilmister died, UDR music released one of the final concerts that the band held as a way to pay tribute to Motorhead and to Kilmister’s legacy. The recording, Clean Your Clock, released June 24th, is an interesting effort. That is because while it is enjoyable in its own right, it is not exactly a perfect recording. Even with that in consideration it is still a recording that any diehard Motorhead fan will appreciate. 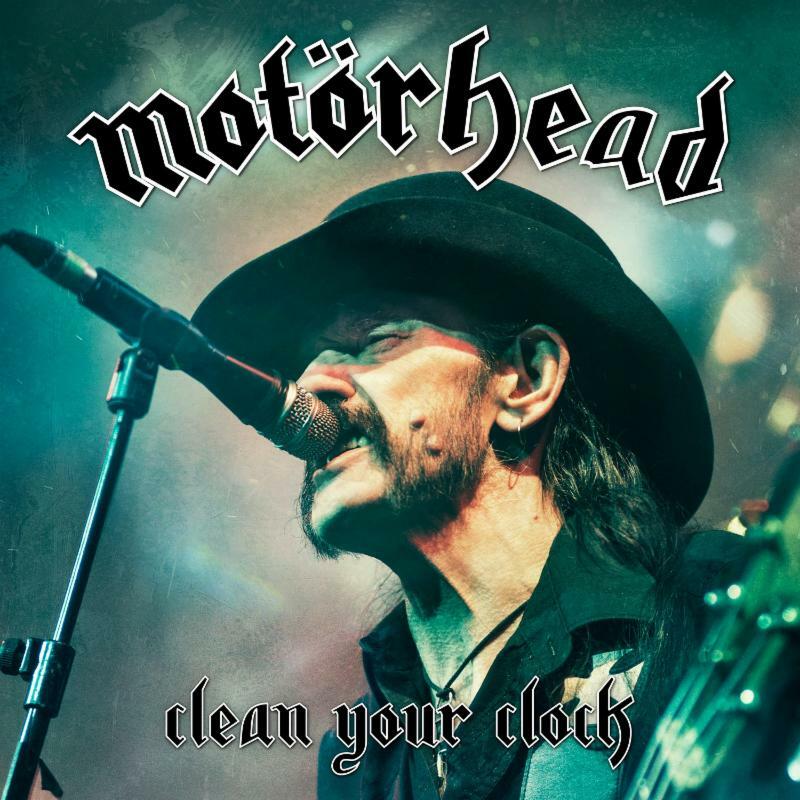 UDR’s recently released live Motorhead recording Clean Your Clock is an enjoyable tribute to both Motorhead and while it is not perfect it is still a recording that any diehard Motorhead fan will appreciate. That is due in part to the concert’s set list. The concert’s sixteen song set list takes listeners all the way back to the band’s 1979 sophomore album Overkill and reaches all the way up to the band’s final album, 2015’s Bad Magic. There are also bits and pieces of the band’s early albums peppered throughout the performance, too including the title track from the band’s 1979 album Bomber, ‘Rock It,’ from the band’s 1983 album Another Perfect Day, ‘Doctor Rock,’ from the band’s 1986 album Orgasmatron, and a number of other hits. Considering the fact that the band released some twenty-two albums over its life, there was no way that one single performance could cover all of that ground. Keeping that in mind, the sixteen songs that are included in the album are still a good snapshot of the band’s body of work if only that. One can only hope that more live recordings are to come; recordings that have an even bigger amount of the band’s material if not at least another swath of the band’s catalogue. While the set list presented in this recording is a clear positive for the recording’s presentation, that presentation also suffers from at least one con. The con in question is the concert’s audio mix. The set list that makes up the body of Clean Your Clock is a major high point to the recording’s presentation. It isn’t the concert’s only positive either. That will be discussed later. While the concert’s presentation does have one more positive, it sadly does have at least one con. The con in question is the recording’s audio mix. Hopefully this only applies with the recording’s CD presentation since the recording is presented in multiple platforms. The audio mix presented in the concert’s CD platform is “muddy” to say the absolute least. Kilmister’s vocals sound almost completely overpowered by his own bass line and by band mates Mikkey Dee and Phil Campbell. The only times during which he can be clearly understood is those moments between songs in which Kilmister takes time to interact with the audience. Other than that, Kilmister’s vocals sound completely muffled throughout the majority of the set’s songs. Again, this seems to be the case at least on the concert’s CD platform. Hopefully that isn’t the case with the concert’s other platforms. Speaking of those other platforms, they are the recording’s other major positive. They collectively more than make up for the one con of the issues with the recording’s audio mix. The set list that is featured in Clean Your Clock and the audio mix throughout the concert are both key elements to consider in examining the recordings overall presentation. That is because they show at least in terms of the recording’s CD platform, it isn’t perfect. Though, it is still enjoyable. While the concert’s audio mix is clearly an issue in terms of the recording’s CD platform, hopefully that is not the case in its other platforms. Those other platforms are the recording’s other major bright spot. Along with its availability on CD, the concert is also available on double vinyl gatefold presentation as well as CD/DVD combo pack, a digital download, Blu-ray/CD combo set, and two separate limited edition box sets. This means that Motorhead fans have plenty of options from which to choose in terms of taking in the concert. More often than not, most live recordings’ video presentations far outshine their audio only counterparts. So it’s very possible that the DVD and Blu-ray combo packs present much more impressive audio mixes as well as their own impressive video mix. Keeping that in mind, the fact that the concert is available in a number of platforms makes the concert’s overall presentation that much better. That is because it offers audiences more options from which to choose, and in turn, better odds of a presentation with a better audio mix (as well as an impressive video mix). 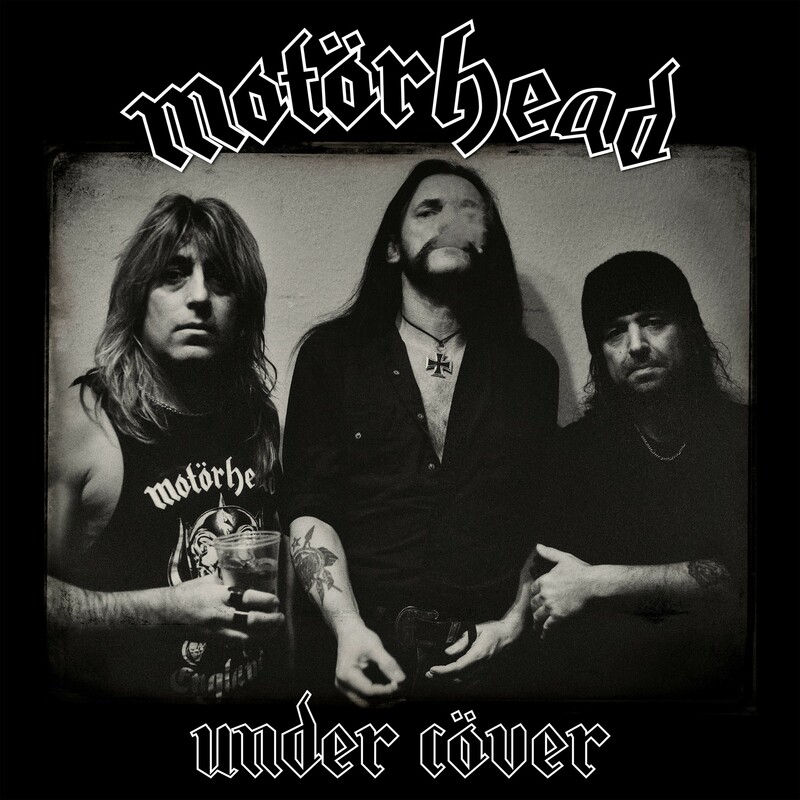 When this is set against the positive of the concert’s set list and the one con of its troubled audio mix, the combination of all three elements still leaves Clean Your Clock one more welcome addition to any Motorhead fan’s collection. 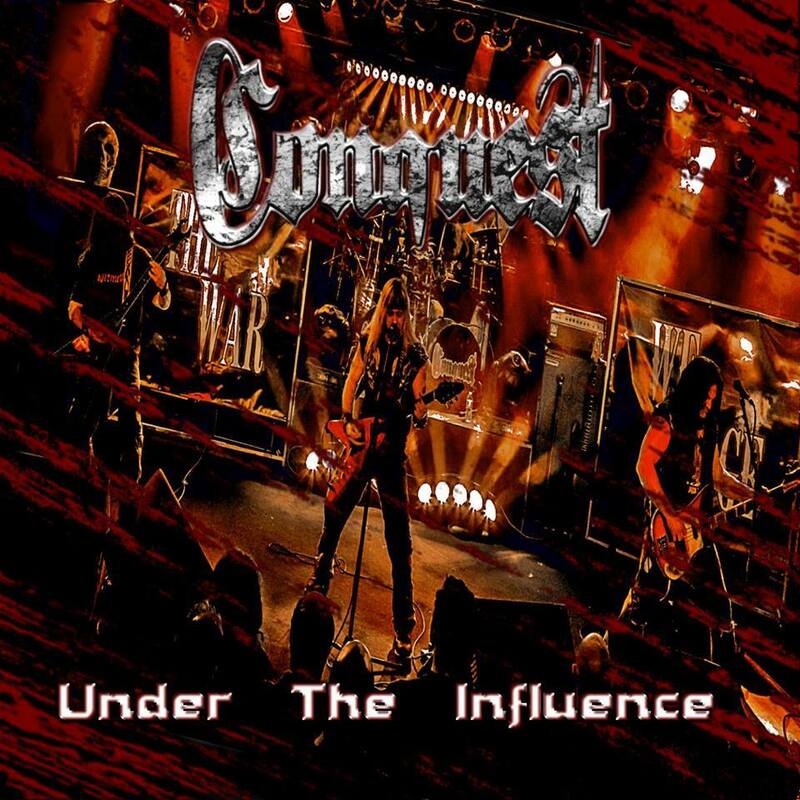 Early this past April St. Louis, Missouri-based metal outfit Conquest released its latest album Under The Influence. The forty-three-minute covers album presents eleven songs from some of the band members’ favorite bands. The songs themselves are, collectively, their own important part of the record’s presentation. That will be discussed shortly. They are not the album’s only key element. The band’s take on the featured songs is just as important to note in this record’s presentation as the songs themselves. That will be discussed later. The album’s overall sequencing rounds out the record’s most important elements. Each element is important in its own right to the album’s whole. Altogether all three elements Under The Influence a covers album that any rock fan should hear at least once. This applies regardless of audiences’ familiarity with Conquest’s body of work. Covers albums are a dime a dozen nowadays in the music industry. Nine times out of ten, they are space fillers used between new albums to tide over fans and fulfill contractual obligations for record labels. Even worse, said albums are commonly thrown together rather haphazardly, much like all of the “hits” albums that are out there. The end result in both cases are albums (if one even wants to call them albums—note the sarcasm) that are anything but memorable or even worth having in one’s personal music collection. Enter Under The Influence, the new covers collection from St. Louis, Missouri’s hard rock outfit Conquest. Unlike all of the covers (and “hits”—technically singles) collections out there on the market today this eleven-song compilation record is one that every rock fan should head at least once. This applies regardless of audiences’ familiarity with Conquest and its body of work. The record’s featured covers are in themselves just one of the elements that make this record worth hearing. That is the case because the songs don’t just come from one of rock’s many sub-genres or another. Rather it crosses those genres from beginning to end. It also spans rock’s rich modern history with its presented songs. It all kicks off with a pair of Judas Priest covers in the form of ‘Metal Gods’ and ‘The Ripper.’ That pair of songs is followed by a cover of Iron Maiden’s beloved ‘Wraith Child.’ The band gets even heavier from there with its own take on Metallica’s ‘For Whom The Bell Tolls.’ Things change even more dramatically in the band’s next offering, a cover of Motorhead’s ‘Ace of Spades.’ This one comes at just the right moment, too, as it is essentially the album’s midway point. It isn’t even the album’s most interesting of the record’s inclusions either. The album’s second half features covers of songs from Bon Jovi, Anthrax, Pantera, Black Sabbath, Motley Crue, and even UFO. To say that that is a broad swath of bands (and songs) would be an understatement. Simply put, the eleven songs (and bands) that are featured in this covers collection is extremely wide. The songs are just as diverse in their stylistic approaches as the bands are within their own rock sub-genres. Keeping that in mind, it becomes clear as to why the songs featured in this record are so important to its presentation. They don’t subject listeners to just one style of rock. Rather, they cover so many different styles from so many ages of rock’s rich history. They make up just one of the record’s most important elements. The band’s take on each of the featured songs is just as important to note here as the songs themselves. The songs (and bands) that are featured in Conquest’s new covers collection are collectively their own important part of the record’s presentation. That is because they lift liberally from rock’s rich modern history. The songs present a wide range of bands and rock styles from beginning to end. That is just one part of what makes this record a rare covers collection that is actually worth hearing. The band’s actual performance of the record’s featured songs is just as important as the songs themselves. The band’s take on Metallica’s ‘For Whom The Bell Tolls’ is one of the band’s best performances in this record. If one were to hear this take on the classic heavy metal tune without knowing it was Conquest, one would actually think that it was Metallica. The band performed the song verbatim both lyrically and stylistically. And front man Derrick Brumley may not sound just like James Hetfield circa 1984. But listeners will be surprised at the similarity in the sound of the singers’ vocals. The band’s take on ‘Ace of Spades’ is just as impressive. One could argue in fact, that Conquest’s take on the classic rock anthem is just as good as Motorhead’s original recording. It doesn’t bear the grittier, garage rock sound presented in Motorhead’s original composition. But even with that taken into consideration it still pays honor stylistically to the original right down to the song’s familiar up-tempo bass line (handled here by bassist Rob Boyer). One of the song’s biggest surprises is Brumley’s vocal delivery. It’s not certain as to whether or not Brumley set out to emulate Lemmy Kilmister in this cover. But interestingly enough listeners will note that there is a certain element of that gritty sound made so familiar by the late rock legend in Brumley’s own vocal delivery here. It is a nice touch to the, and especially so if Brumley did not set out to try to sound like Kilmister. The band’s take on UFO’s ‘Lights Out In London’ is another example of the importance of the band’s performances in this record. It could actually be argued here that Conquest’s cover is even better than the original. That is thanks to the bombastic guitar solos, Bruley’s powerhouse vocal delivery, and Tim Fleetwood’s equally solid work behind the kit. Of course Boyer’s work on the bass here shouldn’t be ignored either. The whole of the band’s work here makes the band’s take on the song a song that will have make every rocker out there proud. It is just one more example of what makes the band’s performance of each of the record’s featured songs is just as important as the songs themselves. They are hardly the record’s only key examples of that importance. Audiences will take just as much notice of the band’s take on ‘Dead Or Alive’ ‘Wraithchild’ and ‘Cowboys From Hell.’ The prior pair of covers is much more bombastic here in the case of the original songs. ‘Cowboys From Hell’ on the other hand is a relatively close take on the original. All three will hold listeners’ ears and have them talking afterward just as much as the other noted covers and those covers not noted here. All in all, the band’s take on each of the songs featured proves just as pivotal to the record’s presentation as the songs themselves. They are not the record’s only important elements, though. The album’s sequencing is just as important to its presentation as the songs and their performances. The songs that are featured in Conquest’s new covers collection and the band’s take on each song are equally important to the album’s presentation. The songs are so important to note because of the broad range of influences presented throughout the record’s forty-three minute run time. The band’s performance of the songs is just as important to note as the songs themselves because of the similarities and differences between the originals and the band’s updated take on each song. Those similarities and differences are certain to create their own share of interest and discussion among audiences. As important as each element proves to the record’s whole they are not its only key elements. The record’s sequencing is just as important to its presentation as those noted elements. Audiences that pay close attention to the record’s sequencing will note that for the most part the record maintains a relatively solid energy level from beginning to end. Though, the energy does pick up just enough at given points, so as to maintain listeners’ engagement. It picks up first just past the record’s halfway point in the form of Motorhead’s ‘Ace of Spades’ before puling back just a little bit as the record transitions into its second half. As the album nears its end the band picks things up once more in the covers of ‘Red Hot’ and ‘Cowboys From Hell’ before finishing off with the slightly slower (slightly at best) but no less heavy ‘Children of the Grave.’ Simply put, the band has balanced the record’s energy and even its varied musical styles from beginning to end thanks to its expert sequencing. This ensures listeners’ maintained engagement, and in turn, entertainment. Keeping this in mind, the record’s sequencing shows in the end why it is just as important to its presentation as its songs and performances thereof. Each element is important in its own way to the whole of the record. All things considered, Under The Influence shows in the end to be a rarity of a covers album. It doesn’t come across as just some contractually obligated space filler. Rather it proves to be a collection of classic rock songs that Conquest’s fans will enjoy just as much as those of the bands featured throughout the record. It is a record that succeeds at presenting a solid introduction to rock’s rich modern history all while entertaining rock fans of all ages. It is a covers collection that is actually worth hearing at least once regardless of audiences’ familiarity with Conquest or its body of work. Independent metal act Conquest is making some of its music available to the masses. Earlier this year the rock community and the music community lost a legend when Lemmy Kilmister passed away. His passing was a surprise to most. Though, he had battled ongoing health issues in the last year or so of his life. This understanding helped to reduce the shock of the Motorhead front man’s passing. Now as a tribute of sorts to both Kilmister and to Motorhead UDR Music has announced that it will release a new live Motorhead recording next month. UDR Music will release Clean Your Clock Friday, June 10th. The concert presented within the recording is one of the band’s final live performances by the band before Kilmister’s untimely passing earlier this year. It was recorded during a performance by the band in Munich, Germany in 2015. The performance was recorded during the band’s two-night stand in Munich from November 20th and 21st, 2015. In anticipation of the recording’s release, audiences can check out the band’s performance of the recording’s title song online now here. Those that might be prone to epileptic seizures are cautioned about the video due to the continuous flashing lights used during the performance. Audiences can also check out the new live video for ‘Bomber’ here. Clean Your Clock will be available on a number of platforms including: standalone CD, Vinyl, CD/DVD combo pack, Blu-ray/CD combo pack, and Digital Download. It will also be available in two exclusive limited edition box sets. The first, a Limited Edition zinc allow Motorhead Forever edition, can be pre-ordered here. The second, a Limited Edition Silver/Gold Pin edition will be available exclusively via UDR here. The recording’s track listing is noted below.